These delicious yogurt parfait breakfast popsicles make a great on the go breakfast for a busy morning – perfect for both kids and adults! You read that right. 😉 I know, you are probably shaking your head – but please, please hear me out on this. You have my permission to eat these popsicles for breakfast. These Yogurt Parfait Breakfast Popsicles are incredibly delicious and packed full of sweet summer strawberries, blueberries and greek yogurt… topped with yummy granola! These popsicles make the perfect breakfast during a long, hot summer.. who doesn’t love deliciously sweet, summer strawberries? 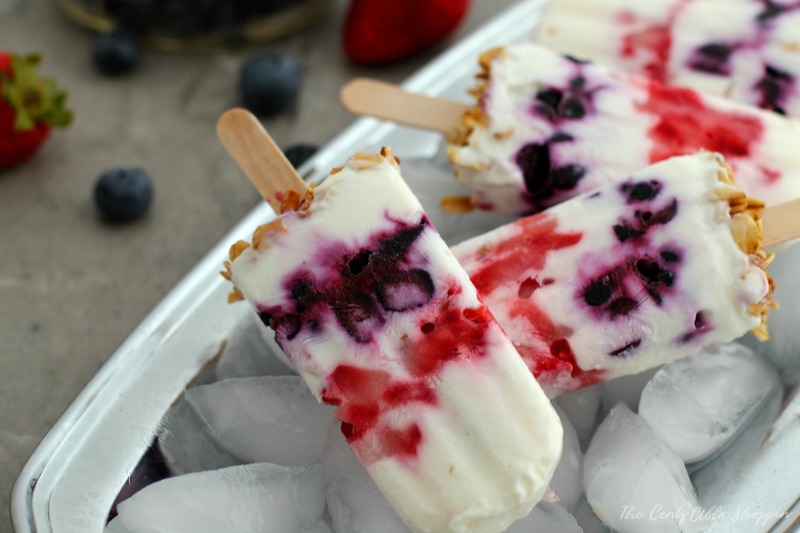 These popsicles are almost just like eating a huge bowl of fruit and yogurt, topped with granola. Except – well, of course it’s in the form of a deliciously cold, sweet and refreshing popsicle! I’m excited about these popsicles because they are so stinkin’ easy to make. Grab your popsicle molds, and some wooden popsicle sticks. Stir your honey and greek yogurt to combine. Then layer with finely cut strawberries and blueberries in your popsicle mold. 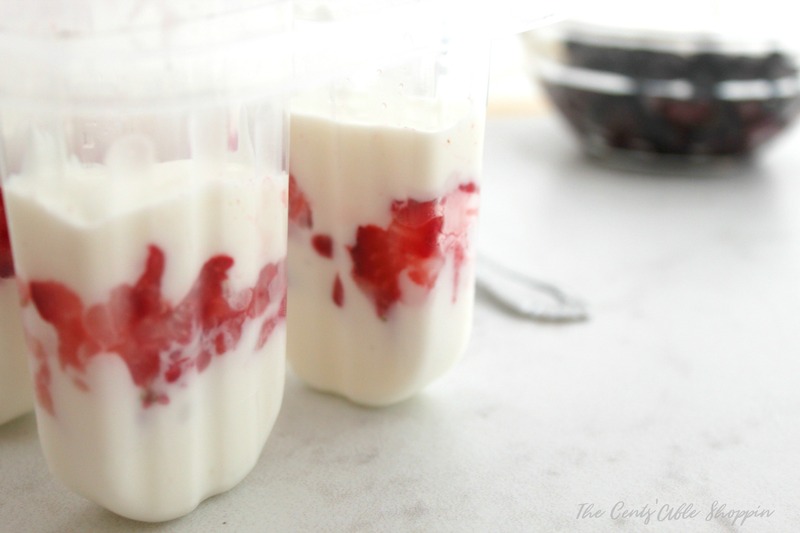 It’s helpful to snip the top off of a Ziploc bag and pipe in the yogurt into your mold in order to layer it with your choice of berries. 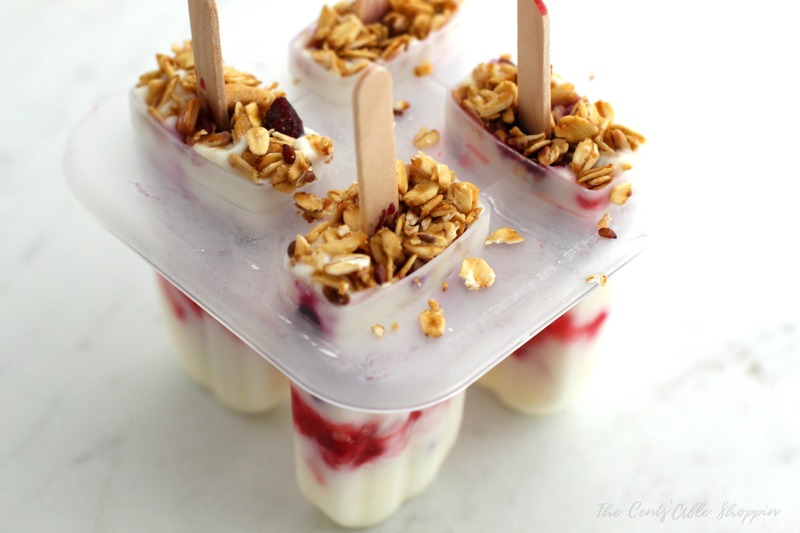 Top with granola before adding in your popsicle sticks. Then gently place them in the freezer for a few hours. They’ll ready for your when you have your next huge craving for fresh fruit and yogurt! These delicious breakfast popsicles make a great on the go breakfast for a busy morning - perfect for both kids and adults! In a small bowl, combine the honey and Greek yogurt and stir until incorporated. 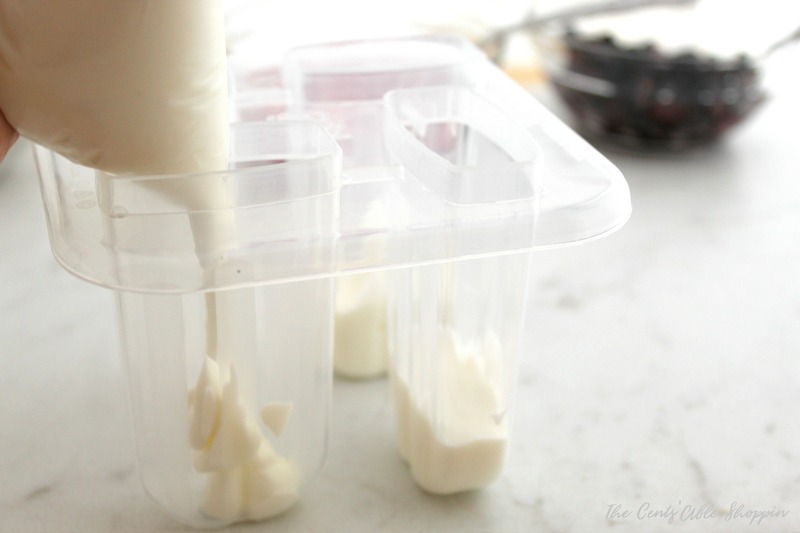 Transfer the yogurt mixture to a plastic storage bag and snip off one corner. To create the first layer, simply squeeze the yogurt into the bottom of each popsicle mold. Next, spoon in a layer of chopped frozen strawberries into each mold. Continue layering by squeezing in another layer of Greek yogurt, followed by blueberries, and then yogurt again. Sprinkle on a thin layer of granola to complete the pops. Place the popsicles in the freezer for 6 hours or overnight. Once popsicles have frozen, transfer to a freezer bag.